I’ve been able to fix some issues with the preview display last night, windows GDI functions are now blitting correctly into the GTK drawing area. 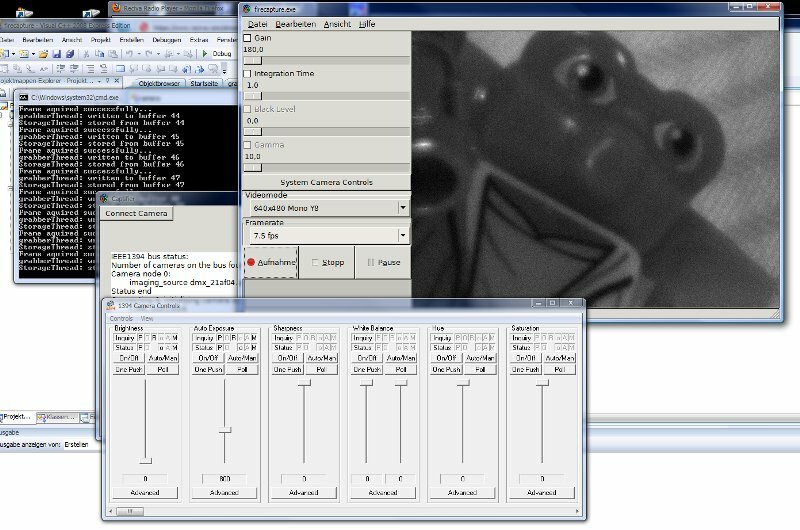 I’ve enabled the CMU camera control window, writing to disk is working. The capture window GUI has been quickly redone to test some things, still not even preliminary and ugly.